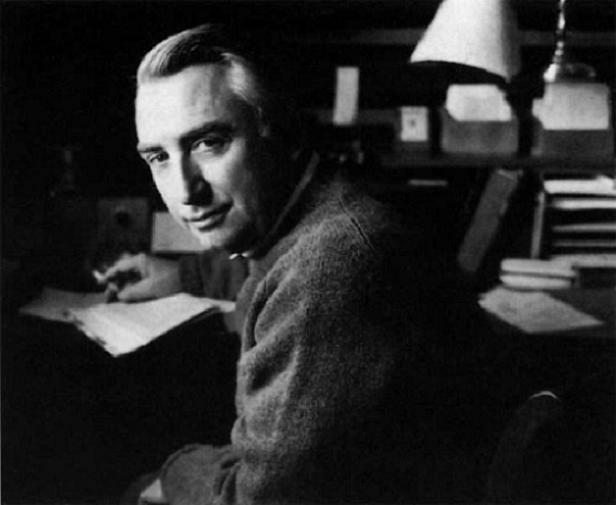 In the second of his series on Roland Barthes, political theorist Andrew Robinson presents the French author's theory of myths. The most explicitly political aspect of Barthes’s work is his ‘mythology’, or analysis of myths. Many of the myths he studies come from the fields of politics and journalism. Barthes’s work on myths prefigures discourse-analysis in media studies. He is discussing the type of discourse which is particularly typical of right-wing populism and of the tabloid press. The main purpose of his work in ‘Mythologies’ is to dissect the functioning of certain insidious myths. Myth is a second-order semiotic system. It takes an already constituted sign and turns it into a signifier. Barthes’s example is a magazine cover which shows a black soldier saluting the French flag. At the level of first-order language, this picture is a signifier (an image) which denotes an event (a soldier saluting a flag). But at the second-order mythological level, it signifies something else: the idea of France as a great multi-ethnic empire, the combination of Frenchness and militariness. Myth is a metalanguage. It turns language into a means to speak about itself. However, it does this in a repressive way, concealing the construction of signs. The system of myths tends to reduce the raw material of signifying objects to similarity. For instance, it uses a photograph and a book in exactly the same way. Myths differ from other kinds of signifiers. For one thing, they are never arbitrary. They always contain some kind of analogy which motivates them. In contrast to ideas of false consciousness, myths don’t hide anything. Instead, myths inflect or distort particular images or signs to carry a particular meaning. Myth doesn’t hide things, it distorts them. It alienates the history of the sign. Barthes’s main objection to myth is that it removes history from language. It makes particular signs appear natural, eternal, absolute, or frozen. It thus transforms history into nature. Its function is to freeze or arrest language. It usually does this by reducing a complex phenomenon to a few traits which are taken as definitive. Barthes uses the example of a Basque chalet in Paris, which ostentatiously displays certain signs of what is taken as Basque style, minus other aspects of Basque houses as they would be found in the countryside (it has a sloping roof, but not a barn). It is crucial to emphasise that Barthes is not saying that all language-use is myth. He does not believe that myth is necessary. His social constructivism is also partial. He believes there are things, with specific attributes, separate from their mythical constructions (accessible, perhaps, through denotative language). But a semiotician can only study the signs or myths, not the things. According to Barthes, he can tell us about the myth of the goodness of wine, or the way wine is signified as an essence it doesn’t really have. Wine may, in fact, for contingent reasons of sense-experience, be good. But a semiotician can’t tell us this. In a sense, therefore, this is a negative approach to myth: it breaks down rather than replacing. One might speculate that eventually, language would need to be reconstructed in a non-mythical way, in order to move beyond myth – perhaps by talking directly of situated experiences, rather than essences. But this is outside the scope of Barthes’s project. Crucially, myths remove any role for the reader in constructing meanings. Myths are received rather than read. A message which is received rather than read does not require an interpretation through a code. It only requires a certain cultural knowledge. (One might add that it also needs a certain form of life corresponding to the resonance of this knowledge). The consumer of myth must here be differentiated from others who actually do read myths. To the semiotician, like Barthes, a myth is just an ‘alibi’, a way of covering up the lack of ground which essences really have. To a producer of myths, such as a newspaper editor choosing a cover photo, they are simply examples or symbols, consciously chosen. In either case, the myth is not ‘received’ as such. Both the journalist and the semiotician knows very well that the myth is constructed. According to Barthes, someone who consumes a myth – such as most tabloid readers – does not see its construction as a myth. They see the image simply as the presence of the essence it signifies. For instance, they see in the saluting black soldier the presence of French imperiality. They are then convinced that what they’ve seen is a fact, a reality, even an experience – as if they’d actually lived it. It is this kind of reader who reveals the ideological function of myth. Myths are not read as statements of particular actors, but as outgrowths of nature. They are seen as providing a natural reason, rather than an explanation or a motivated statement. They are read as ‘innocent’ speech – from which ideology and signification are absent. To consume a myth is not to consume signs, but images, goals and meanings. The signified of connotative myths is ‘hidden’, since it can’t be reconstructed through the language or images used to carry it. The utterance is structured enough to affect the reader, but this reception does not amount to a reading. According to this reading of myth, a myth occurs only if someone is a true believer who consumes the myth innocently. This is why, for certain later writers, a postmodern ‘ironic’ reading, which recognises and plays with the constructedness of myths, is deemed subversive. It is also why ironic uses of stereotypes are sometimes differentiated from their simple deployment. And why the ‘play’ of signs in fields such as the Internet, or reader-response models of global culture, where each user is aware they are appropriating and redeploying signs, is sometimes seen as progressive even if the signs deployed are capitalist, conventional, racist, etc. Barthes sees myth as functioning in a similar way to Althusserian interpellation. It calls out to the person who receives it, like a command or a statement of fact. The content of the injunction is to identify the sign with the essence. In fact, mythical signs look as if they have been created on the spot, for the viewer. They look like they are simply there to perform their role in the myth. The history which causes or creates them is rendered invisible. Myth is parasitical on language. It requires the meaning of the initial sign for its power, but at the same time it denies this specificity, making it seem indisputable and natural, rather than contingent. There is always a remainder of denotation without which the connotation could not exist. It is only because of this remnant of denotation that the connotation can naturalise something. It is as if it needs the innocence of denotation to pose as innocent itself. Meaning is thus torn between nature and culture, denotation and connotation. It also has a tendency to empty language. It removes signs from their context, hiding the process of attaching signifier to signified. It thus strips signs of their richness and specificity. The function of myth is to empty reality of the appearance of history and of social construction. The initial sign is ‘rich’ in history. Myth functions by depriving it of history and turning it into an empty form to carry a different meaning. If the ‘political’ is taken to encompass all human relations in their actual structure, as power to transform the world, then myth is depoliticised speech – the active stripping of politics from speech. Usage (or doing) is mistakenly portrayed as nature (or being). This draining of history strips represented phenomena of their content. What is actually a contextually specific action is taken to stand for something else: a timeless, eternal essence. This is termed the ‘concept’ of the myth. Barthes expresses it by adding -ness or -ity onto ordinary words. This emptying is also a kind of filling. The concept carried by a myth appears to be eternal and absolute. In fact, the concept carried by a myth implants into the sign an entire history and perspective. It speaks to a very specific group of readers. It corresponds closely to its function. For instance, it refers back to particular stereotypes embedded in gender, racial, or class hierarchies. What is put into the myth as meaning is always in excess over what remains of the meaning of the sign itself. An entire history or perspective is put into the concept which the mythical sign signifies. On the other hand, the image or example itself is almost incidental. There is a constant rotation of mythical images and significations. Myth functions like a turnstyle which constantly offers up signs and their mythical meanings. The sign is emptied so that it can present a meaning (the concept) which is absent but full. As a result of myth, people are constantly plunged into a false nature which is actually a constructed system. Semiotic analysis of myth is a political act, establishing the freedom of language from the present system and unveiling the constructedness of social realities. The contingent, historical, socially constructed capitalist system comes to seem as ‘life’, ‘the world’, ‘the way it is’. One way to become aware of myths is to consider how they would seem, from the standpoint of whatever they represent. Myth is always clear when seen from the standpoint of the signifier which has been robbed. For instance, the mythical nature of the use of the image of the black soldier is apparent if the soldier’s actual narrative is known or considered. Another aspect of the functioning of myth is that it refuses the explanatory or analytical level. It states facts and posits values, but it does not use theories to explain social phenomena. Facts are taken as self-present, not as mysteries to be explained. The statement of facts or values without explaining them gives an illusory clarity, making it seem that they are obvious, they go without saying. 1) Inoculation – admitting a little bit of evil in an institution so as to ward off awareness of its fundamental problems. For instance, admitting the existence of ‘a few bad eggs’ in the police so as to cover up the abusive nature of official police practices. 2) Removing history – making it seem like social phenomena simply ‘exist’ or are there for the viewer’s gaze, eliminating both causality and agency. Neoliberalism, for instance, is often treated as ‘globalisation’ or ‘modernisation’, as an abstract economic necessity rather than a political strategy. 3) Identification of the other with the self – projecting inner characteristics onto the other. For instance, in trials, treating a deviant person as a version of the self which has gone astray, based on a view of crime as rooted in human nature. The actual person, their motives and meanings are written out of such accounts. 4) Tautology – treating the failure of language as expressing the essence of a thing – “theatre is theatre”, “Racine is Racine”, or “just because, is all”. Barthes believes this device is an order not to think. 5) Neither-norism – refusing radical differences between phenomena by combining them in a kind of middle ground marked by immobility and permanence. The Third Way is a current example. 6) Quantification of quality – treating differences in kind as differences in degree. 7) Statements of fact without explanation – ‘that’s just the way it is’. The idea of ‘common sense’ is used to command the pursuit of truth to stop at a certain point. Click here for Part One of the series on Barthes. Part three of the series on Barthes is published next week. Where did you find the list of seven common figures of myth ? There are no references in your articles. Very interesting article. Better than reading the wikipedia for Barthes or his Mythologies. Waiting for the third part. Wondering the same thing as Sam – where did the list come from? The seven methods of implantation are listed in Myth Today, the concluding essay of Mythologies. An Animated Introduction to Roland Barthes’s Mythologies and How He Used Semiotics to Decode Popular Culture | ① Download punk music albums for free !